Coal is no longer cost-effective for new electricity generation, and there's no sign that will change in the future. I don't know anybody in the country who would build another coal plant. This is a quote coming from a man running a company with 3,500 MW of coal plants. And he thinks the future belongs to natural gas and renewable energy, "regardless of what Trump may or may not do with the Clean Power Plan." The reason coal is dying isn't because of regulations or some sort of war on coal. It’s dying because it’s no longer cost-competitive. In DTE Energy’s home state of Michigan, the Michigan Public Service Commission did a study looking at the costs of different energy sources, and coal didn't fare well. New wind power purchase agreements signed in 2015 came in at $45 per MWh, and since 2009, the average power purchase agreement was $73.58 per MWh. New solar plants are estimated at $113.52 per MWh, the price of a contract for a project completed in 2016, but Michigan isn't exactly an abundant solar resource state, so this may not be the best renewable source for this comparison. New natural gas plants are estimated to cost around $63.70, the average annual transfer price for DTE Electric. These figures compare to the commission's estimated cost of $133 per MWh to build a new coal plant. That’s double the cost of new natural gas and wind plants, and more than solar as well. Coal is simply no longer cost-effective for new electricity generation, and there's no sign that will change in the future. It's easy to see that new coal plants don't make a lot of sense, but a fleet of aging coal plants don't make as much financial sense as it used to, either. And that's why DTE Energy's management plans to shut down eight coal plants by the end of 2025, and a total of 3,500 MW of coal plants by 2030. This is consistent with trends at former coal giants like Duke Energy and Southern Company. And it doesn't bode well for coal producers Cloud Peak Energy Inc. (NYSE:CLD) or CONSOL Energy Inc. (NYSE:CNX). And with questionable financials already, the loss of future demand would be bad news. If there's going to be a recovery in coal stocks, it depends on the U.S. using more coal in the future, not less. Given the cost trends, I don't see why utilities would build coal plants, or why there won't be a decline in coal plants to buy coal for decades into the future. Remember, the cost of renewable energy is falling, so the competitive dynamic is getting even worse for coal. That makes the coal industry a place I simply wouldn’t invest. 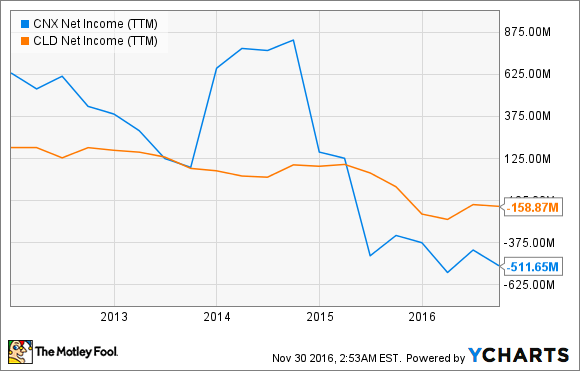 Can This Dividend Stock Deliver on Q2 Expectations?